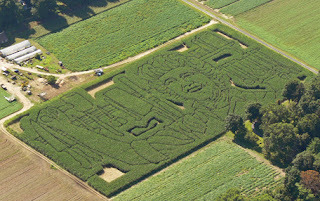 My first experience with a labyrinth was a circular corn field in Star City, Arkansas. The stalks towered over my head. The paths seemed confusing and complicated to a six-year-old. After I made it to the center, I climbed to the top of the observation platform and got a bird's eye view. It took the mystery out of the twists and turns leading to the center, and made a fan out of me. 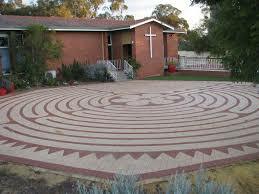 Later I saw a labyrinth in a church yard. I began to watch for them as I took pictures of tombstones for Find a Grave. 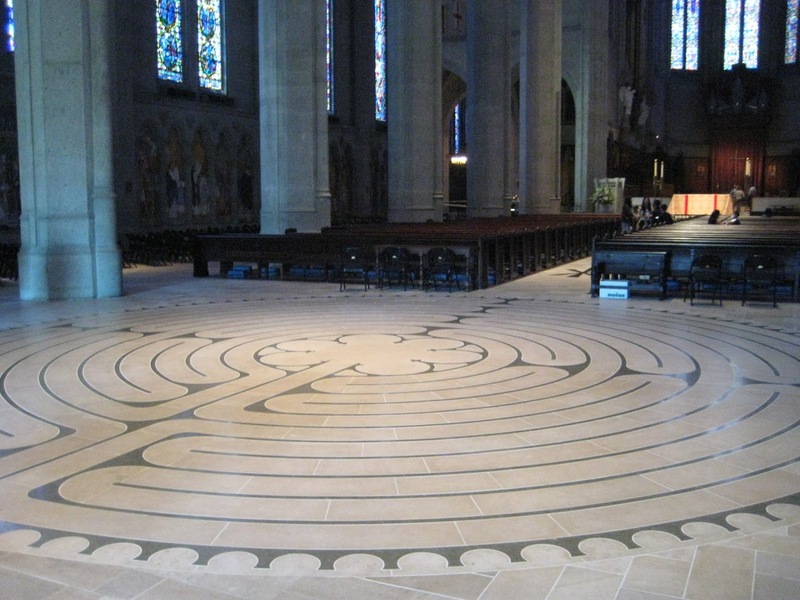 The labyrinth in Quairading is a Chartres 11 ring/circuit—11 paths from the edge to the center—patterned after the labyrinth embedded in the stone pavement of the Chartres Cathedral near Paris. Labyrinths are often in-doors, too. According to Greek mythology, Crete's King Minos had Daedalus construct a labyrinth to conceal the half-human, half-bull offspring of his wife Pasiphae. Legend says that Daedalus and his son Icarus were confined in the labyrinth with the Minotaur. They constructed wings of feathers and wax to escape by flying above the walls of the labyrinth. Icarus flew too near the sun and drowned in the Icarian Sea when his waxy wings melted. 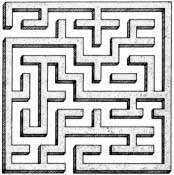 In English, Labyrinth and Maze are often interchanged, but they are vastly different. Have you walked a spiral walking course in a garden and followed the path to the center and back out again? 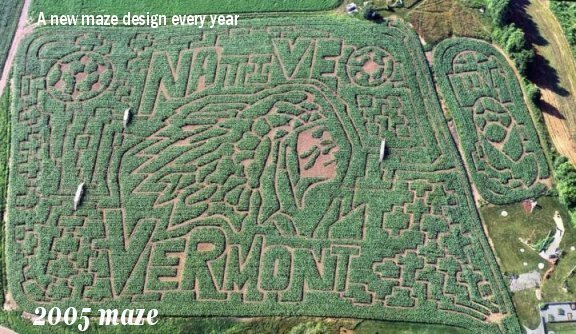 That's a labyrinth. It can be calming and centering—one way in and one way out. 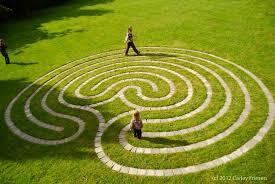 Labyrinths supposedly free the right brain. You can get lost and become disoriented in a maze. 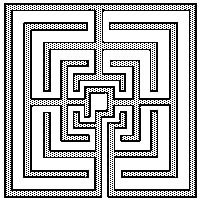 It is said that mazes engage the left brain. It's designed to test your problem-solving skills, memory, and tolerance for frustration. 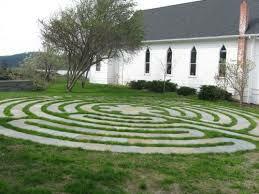 Anastasia at Lawsagna said that labyrinths and mazes are "a good metaphor for the learning process." She asked the questions, "Do you feel like you are in a maze, disoriented and trying to find your way out as soon as possible? Or are you a labyrinth, focused, enjoying the process and making progress at your own pace?" 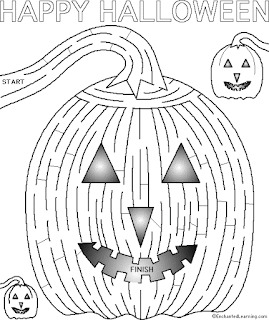 I wonder if I should make a sign for my writing office door—one side with a maze and the opposite side a labyrinth. Anastasia's metaphor may apply to writers also. 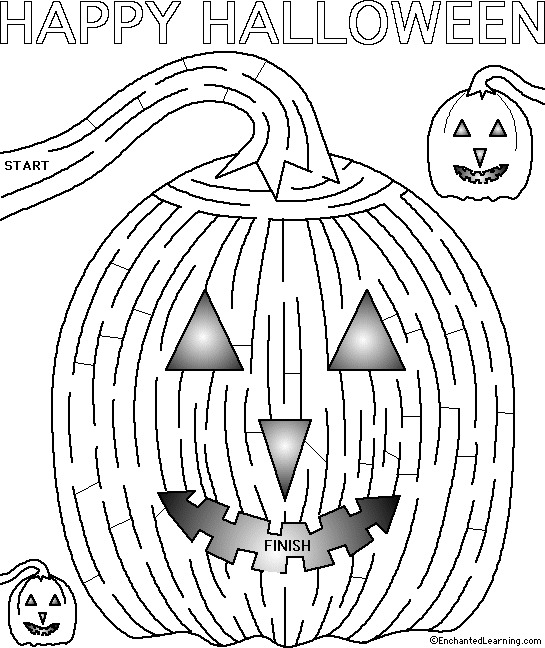 Our Sunday newspaper had maze puzzles. They came in all shapes and sizes, and all levels of expertise. 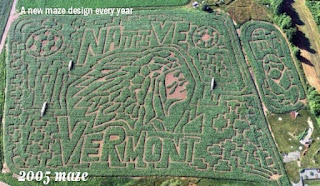 Some folks have made a business of elaborate mazes. Are you a maze or labyrinth fan? Transplanted six years ago to Chimney Rock, Archuleta County, Colorado, from Austin, Texas, she and her husband Jerry celebrated their fiftieth anniversary this year on their hay and cattle ranch. 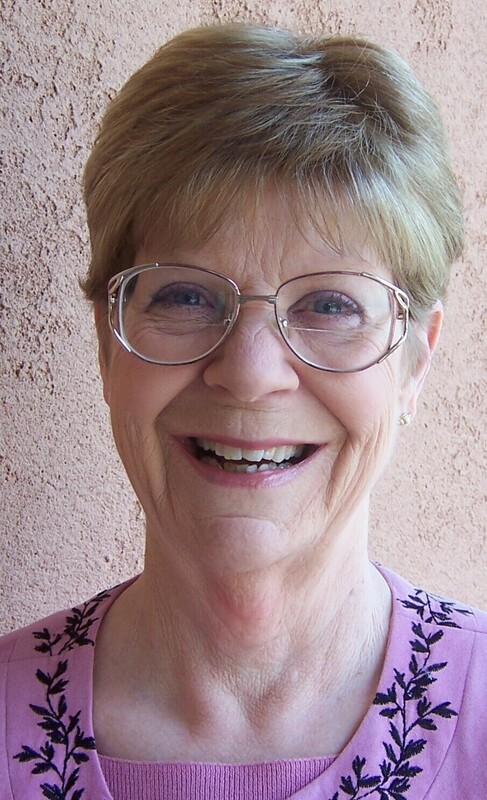 She is currently writing a four-book series set in New Mexico 1926-1932. Visit her website http://www.lindafarmerharris.com. 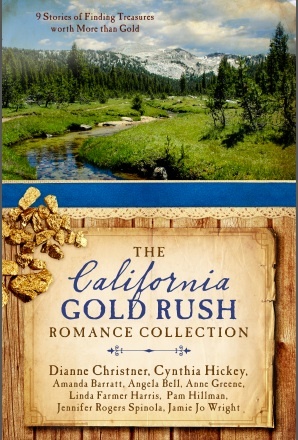 Her novella, The Lye Water Bride is included in The California Gold Rush Romance Collection (Barbour Publishing, August 2016, print and eBook). Hmmm....I suppose it depends on my day. This can apply to our daily lives. At times I feel like I am lost and going nowhere and other times I feel like everything is going my way. I guess it would be boring to be just one, either disoriented or focused. 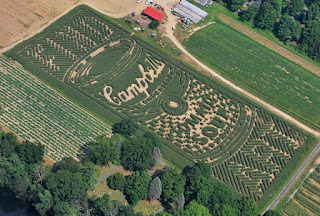 We all need a little maze in our labyrinth lives, don't you think? Great post and love the pictures. Now I know the difference...thanks, Lin! Fun post. Hey Lin, I do like mazes. I never knew the difference in mazes and labyrinths before, so that's good to know. I've been studying how to create puzzles lately and am working on a word search. The next one I want to tackle is a maze book. Beautiful pictures of these mazes and labyrinths. Thank you for sharing.